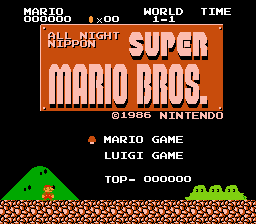 All Night Nippon Super Mario Bros. is an officially licensed retool of Super Mario Bros., released in 1986 for the Family Computer Disk System. This version is based on the Japanese radio program All Night Nippon, and it was given out as a raffle prize on the show itself. This is a 100% English translation of All Night Nippon Super Mario Bros. for the Famicom Disk System. The only Japanese text in the game is part of the title screen, and this has been translated. 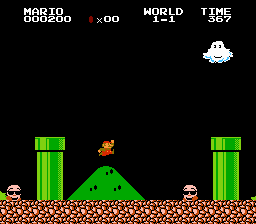 Good that this rare Super Mario Bros. game receives translation and hack. Much appreciated!